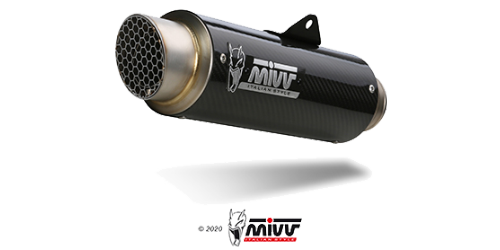 The range of MIVV exhausts is regulated according to internationally recognized approval laws. The buyer is fully responsible for verifying whether the product he/she intends to purchase complies with local laws. 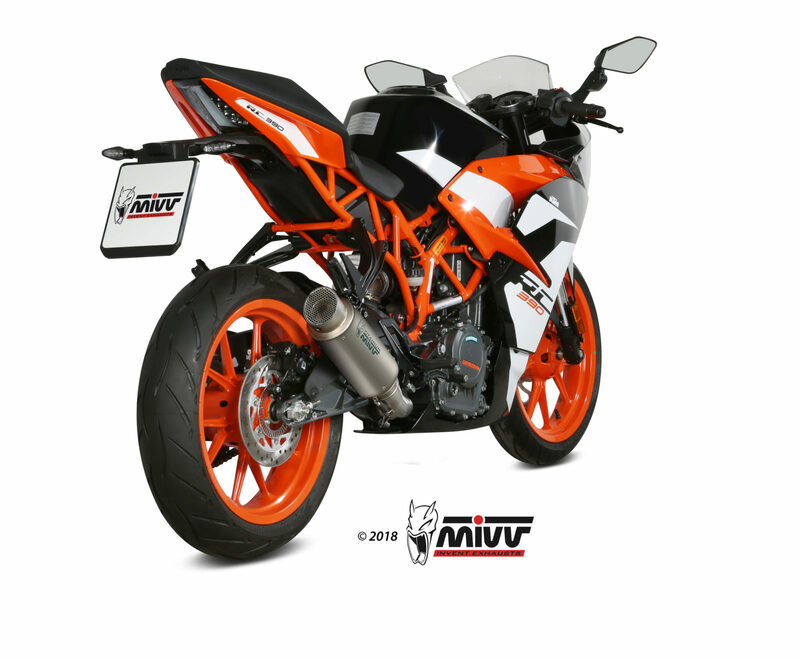 Mivv exhausts that are type approved for road use are marked with a type approval number and are provided with the relevant certificate of homologation. 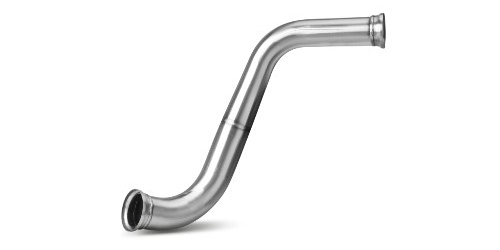 Several U.S. states and the U.S. federal government have individual laws regulating the use of aftermarket exhaust parts and systems, especially as those parts and systems modify, remove, or replace original equipment catalysts. Please consult the appropriate laws in your area before installing any aftermarket part or system on your vehicle to ensure compliance with all applicable laws. Neither MIVV nor its distributors or the sellers of the parts or systems make any statement that any of their parts or systems comply with any such laws. California laws prohibit the use of any aftermarket exhaust part or system that modifies, removes or replaces original equipment catalysts unless the California Air Resources Board has issued an Executive Order regarding such part or system or unless the part or system is exempted by being used only on racing vehicles on closed courses. 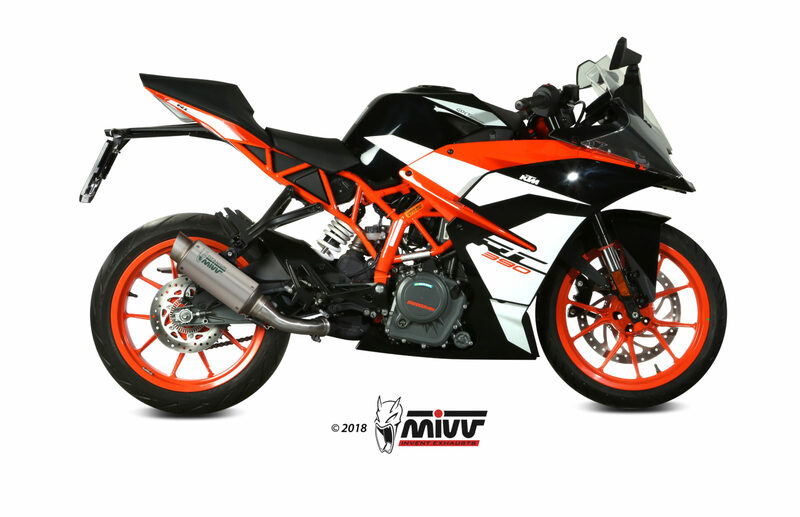 Neither MIVV nor any of its distributors make any statement that any of their parts or systems has received such an Executive Order or that any of their parts or systems conform with the racing vehicles exemption. The purchasers are entirely responsible for informing themselves of applicable California laws and to comply with those laws. 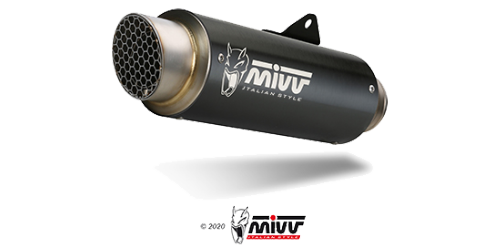 Designed to improve the aestethics, sound and performance of the bike, Mivv slip-on exhausts are the result of maximum attention to design, with the aim of satisfying those who want to distinguish themselves by the look of their motorbikes. GP PRO, manufactured by semi-handmade TIG welding, shows a compact and essential design and an aggressive sound. Inspired by the world of competition, the exhaust pipe is equipped with a removable protective grille that hides the dB-killer. 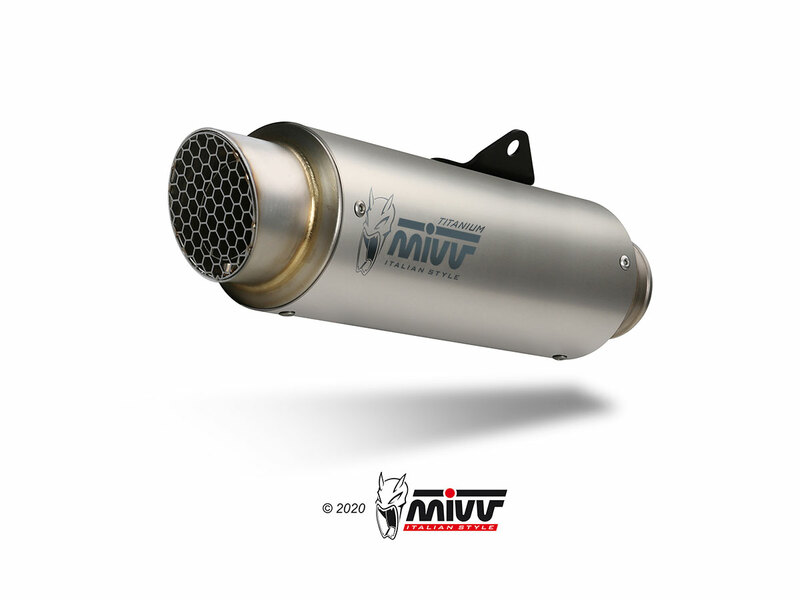 This muffler sports the characteristic Mivv logo created by laser technology. It features a titanium central body with a “pearled” effect, obtained with a special finishing process. It is the ideal exhaust for those who want an exclusive product.